Sixteen horses! A quilt to melt any young girl's heart. 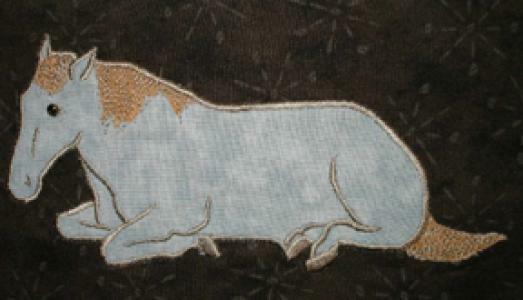 The techniques used are satin stitching and raw edge applique. 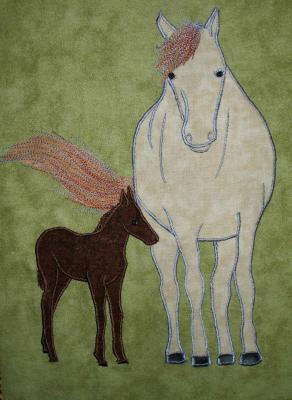 With the second technique you create the design of the manes and tails as the flow in the wind. 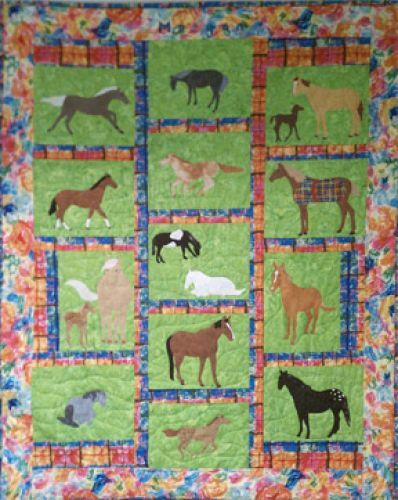 The eyes on the horses are hand sewn on iridescent glass beads to add sparkle to the quilt. Our instructions assume that you know how to run a sewing machine but may not have made a quilt before. We try to answer all your questions in the how-to department before you realize you didn't know how to do something. The quilt in the photo measures 36" x 49". Sorry, PDF file patterns are not available to wholesalers. They need to order printed patterns. The PDF pattern download location will be sent within 24 hours of placing your order. Click on the words to see larger images. The horse's blaze is satin stitching. 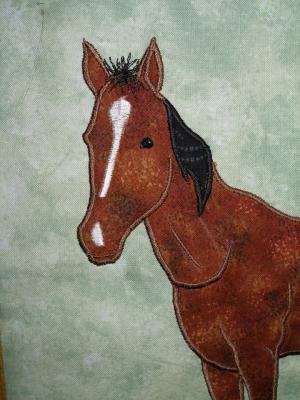 Great fabric find for this horse! 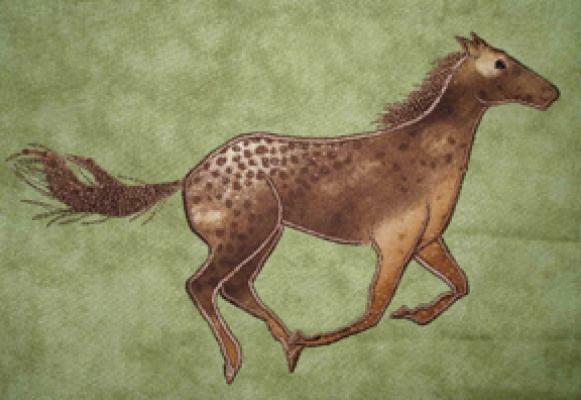 Check out the raw edge stitching on the mane and tail of the mare. Two different thread colors were used. Horses lie down sometimes. This horse's hooves were satin stitched. 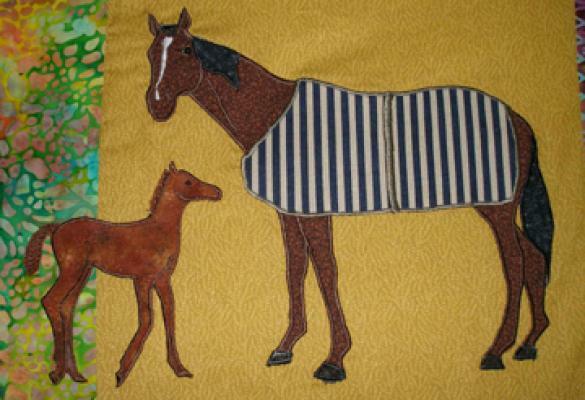 There is a complete horse applique under the striped blanket. 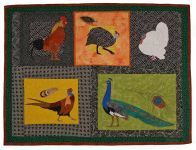 This quilt was made by Mona Bassett.